Take 1 capsules 3 times a day. 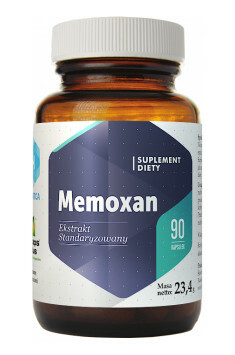 Preparation is recommended especially to improve memory and cognitive functions. It is effective in periods of over-average mental performance. To achieve wanted results, 3 capsules a day will be enough. It is worth to divide it into 3 servings and take at intervals of several hours. To increase bioavailability of the supplement, it should be taken after a meal. Milk components hinder absorption of flavonoids, so you should not drink it with capsules nor take the supplement with a meal containing milk.